Greetings! I hope you had a great weekend. I ended up not getting down to the food festival in my town. Saturday was just too warm, and Sunday was cold & rainy! I spend the days doing chores around the house. At least I got a lot done! 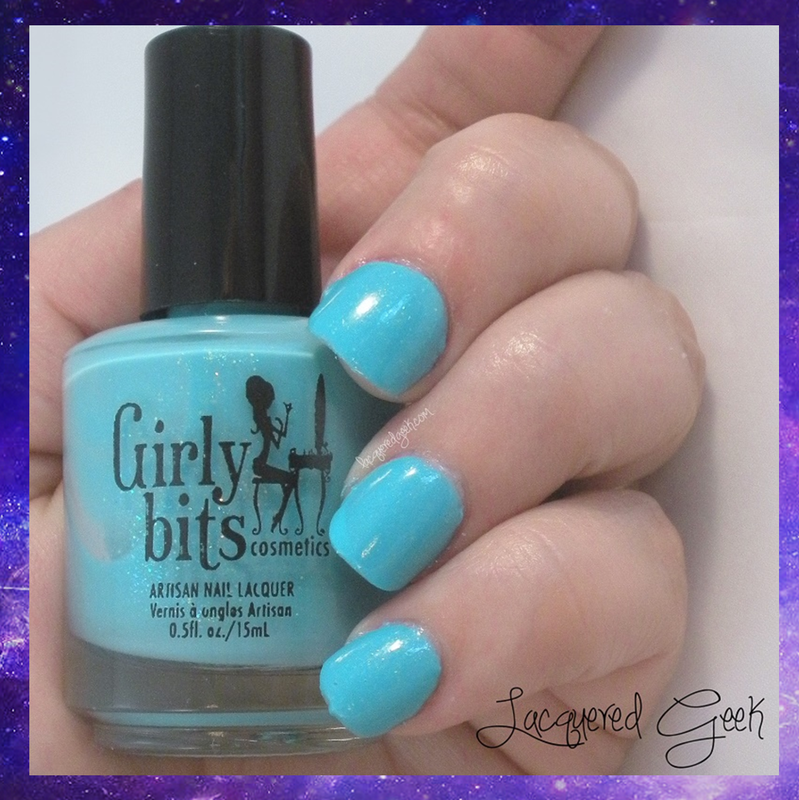 A couple of weeks ago, I won a giveaway from Polished to Precision, and on Friday I received my prize - a bottle of Girly Bits "Mint-al Precision." It was created by Tiffany for her 1st Blog Anniversary, and it is a stunning color! I couldn't wait to try it out! Mint-al Precision is described as an "aqua-mint shimmer, loaded with green and blue shifting flakes." I just describe it as gorgeous! I had trouble capturing the shimmer of this one. You'll just have to trust me that it is beautiful. The formula was perfection. This is my first polish from Girly Bits, but I will definitely be looking for more! I used 3 coats and a topcoat for these photos. So what do you think of this beauty? It really makes me want to run away to the beach! It's going to get a lot of use during summer months! Mint-al Precision can be purchased from Girly Bits, and they offer world-wide shipping! I know the feeling! I don't even want to think about my untrieds! !